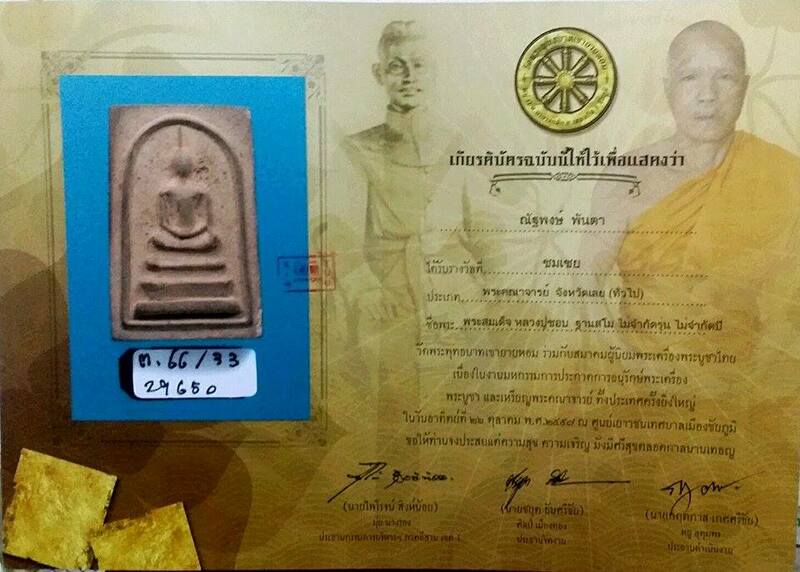 First Batch Somdej Lang Roopmuen Luang Phor Chob Wat PaSamMaNokSorn BE2518. There are LP’s hair at the back of amulet. 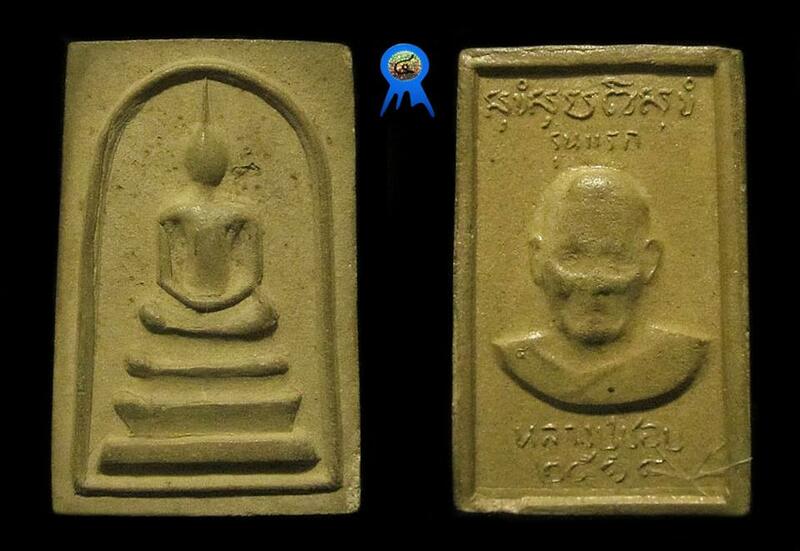 It won No4 Placing in Thailand Chaiyaphum Amulet Competition on 26th October 2014.